Protecting the planet is a core Green value. The way we currently consume and produce energy is changing our global climate, and poisoning the planet for future generations. We are committed to change the way we produce energy to an environmentally friendly alternative, and transitioning Europe's energy towards a sustainable, climate-friendly model. The Fifth Assessment Report of the United Nations shows how serious the need for action is. Sea levels are rising, storms and draughts are becoming more frequent. Arctic ice and glaciers are melting worldwide. If we don't make drastic changes, climate change will affect us all. The world faces a loss of biodiversity, especially in those ecosystems that have a difficult time adapting to climatic shifts. As temperatures rise, deserts will likely spread. Water, already a scarce resource in some parts of the world, will become even more scarce. Extreme weather events like draughts, storms, and heavy rainfall will increase. While it's bad news for all of us, those in the developing world who have contributed least to climate change, are likely to be affected the most. The Greens have already succeeded in bringing environmental concerns to the forefront of European political debate. Now, we have to translate those concerns into lasting and meaningful change. 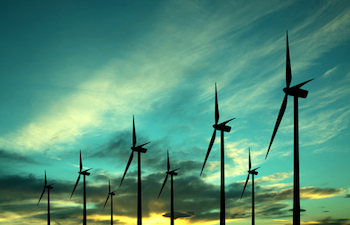 We want a Europe that gets 20% of its energy from renewable sources by 2020. We want to see binding 2030 targets for carbon emissions agreed to, and for Europe to rely fully on renewable energies by 2050. We want to see the European Emissions Trading Scheme made fit for purpose, so that it makes carbon emissions financially punative. We want Europe to be a global leader in international climate diplomacy, advocating for a robust global emissions regime in Paris in 2015. Nuclear power is not the solution. It is risky and unpredictable. Fukushima and Chernobyl are global catastrophes that must never again be allowed happen. Nuclear energy leaves a legacy of toxic waste for thousands of years. Fracking for shale gas isn't the answer either. Fracking destroys local water resources, and can increase chances of earthquakes. It's a harmful way to extract fossil fuels. We'll continue to fight against it, and try to ban it across the EU. How can we effectively raise awareness on the issue of climate change? Which local and regional alternatives to our current energy production methods can be used? What can European countries learn from each other to advance their usage of renewable energy? Help us work to protect Europe's environment. Join our campaign and vote Green in 2014! International climate negotiations under the auspices of the UN are already stalled and increasingly resemble provincial vaudeville theater. 16 лістапада міжнародная Федэрацыя Маладых Еўрапейскіх Зялёных у якую уваходзяць таксама і беларускія “Маладыя Зялёныя” правяла пікет ля офіса карпарацыі Фронтэкс (Frontex)у Варшаве. Сярод удзельнікаў былі і беларусы. Карпарацыя Фронтэкс забяспечвае кантроль за міграцыяй пераважна на тэрыторыі міжземнамор’я. Справа ў тым, што Еўрапейскія структуры карыстаюцца паслугамі гэтай карпарацыі каб дэпартаваць кліматычных бежанцаў, якія шукаюць магчымасці пазбегнуць наступстваў кліматычных зменаў праз змену месца жыхарства. Так як гэта прыватная карпарацыя, то яна не падпарадковаецца падаткаплацельшчыкам ЕС, што вядзе да бязладзя ў справах бежанцаў і перавышэння службовых абавязкаў штодзённа. Напярэдадні ўгодкаў Чарнобыльскай катастрофы беларускія "Зялёныя" пікетавалі галаўны офіс расійскай дзяржаўнай карпарацыі РосАтам у Маскве. У суботу 23-га сакавіка па ўсім свеце пройдзе акцыя Сусветнага фонду дзікай прыроды (WWF). «Гадзіна Зямлі». Акцыя «заклікана папулярызаваць беражлівыя адносіны да рэсурсаў планеты. У акцыі "Гадзіна Зямлі" можа ўдзельнічаць любы чалавек. Для гэтага з 20:30 да 21:30 неабходна выключыць святло дома або ў офісе і зарэгістравацца на сайце Сусветнага фонду дзікай прыроды. Беларуская партыя Зялёных заклікае ўсіх грамадзян РБ падтрымаць ініцыятыву (WWF). Мы так жа заклікаем у гэты дзень усіх кампутарных карыстальнікаў, каму не абыякавы лёс будучых пакаленняў, хоць бы на гадзіну выйсці з інтэрнэту.